Professor David Merriman is interested in helping state and local governments develop fairer and more efficient mechanisms to raise revenue and implement public policy. In one recent study he used littered cigarette packs to measure the degree to which Chicago smokers avoid cigarette taxes. He has been heavily involved with property tax reform in Cook county and has published some of his research on this issue in the National Tax Journal in 2007. 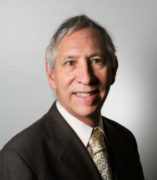 He has written numerous articles on flaws in the design and implementation of tax increment financing—an economic development tool originally designed to aid blighted communities—and has published them in the Journal of Urban Economics, Urban Studies, Regional Science and Urban Economics, and State Tax Notes. He has published a study showing that the federal-state tug-of war over Medicaid may result in the expansion of health care spending in Public Finance Review. He is a frequent advisor to policymakers, holds a joint appointment with the U of I’s Institute of Government and Public Affairs, and has testified before the Illinois legislature. He is frequently quoted in local news media. Merriman, D. 2018. Improving Tax Increment Financing (TIF) for Economic Development. Cambridge, MA: Lincoln Institute of Land Policy. “Is Federal Academic Research and Development Subsidy a Complement or Substitute for State Funding? Public Finance and Management” with Yonghong Wu (2017) vol 17(1):26-47. “What happened to Illinois’ Economy following the January 2011 Tax Increases? A Midwestern Comparison” with Andrew Crosby 2016 Journal of Regional Analysis and Policy JRAP 46(1): 39-51.